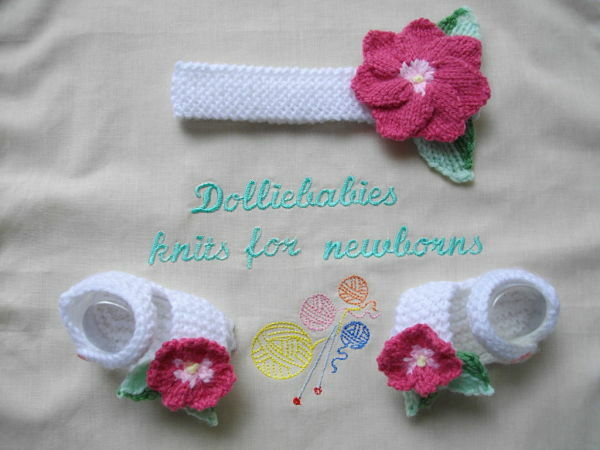 Instructions for a baby or reborn doll's, basic headband and sandals with knitted flowers and leaves in either 4ply or DK yarn depending on size. Although the headband and sandals are basic, the flowers and leaves are a little bit fiddly, but the end result is well worth it. This set will fit either babies 2.5lb -0-3 months or 21-22 inch reborn, 19-20 inch reborn, 17-18 inch reborn or a 15-16" reborn. You will need 50g 4ply or double knitting yarn in main colour, 10g contrast colour 1, 10g contrast colour 2, 10g contrast colour 3, 10g contrast colour 4, and a small length of contrast colour 5 for the french knots in the centre of the flowers. You will also need 3mm needles for the flowers regardless of what size you are knitting for, and either 2.75mm, 3.25, 3.75mm and 4mm needles, and 2 buttons. This pattern has been designed by myself so it is in UK terminology. It does not follow the usual 'shop bought' format. There are 4 printed pages with clear and easy to follow instructions. All my patterns are tested by independent knitters before they are released, so every effort is made so that they come to you error free. 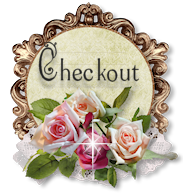 Although I do send quickly, please allow 24 hours for manually emailed PDF delivery, especially for international customers, as your daytime, might be our night time. If you have not received your pattern after 24 hours, then please contact me. Happy knitting!